All figures are unpainted, and may require some assembly. Here are instructions, but if you have questions, feel free to contact Paul Chapman. 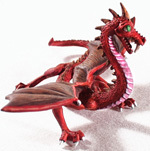 Now available for order is the noble dragon Valor, his nasty brother Snarl, the mythological guardian Cerberus, the infamous Harpy, and a horde of Giant Ants. 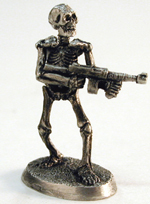 We have a big page of GURPS stats for many different variations of our monsters. 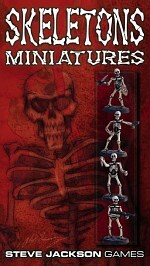 Want more GURPS monsters? 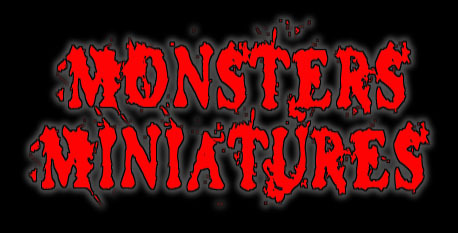 Check out GURPS Monsters for non-traditional creatures, and GURPS Bestiary for less supernatural creatures. 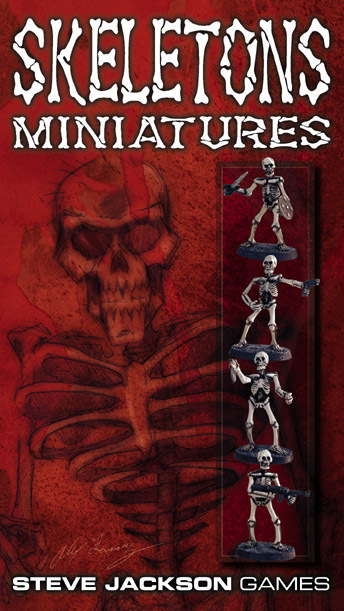 Need help assembling a figure? Here is a pictorial guide for Valor and the Cerberus. Valor is our first release for Monsters. He, along with his brother Snarl, will be available through your friendly local game store in February, but Warehouse 23 has a limited supply of him now. 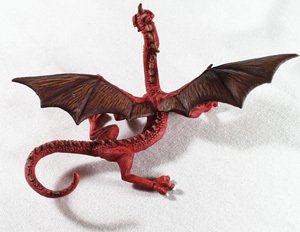 Valor stands 57mm tall, and has a wingspan of 110mm. 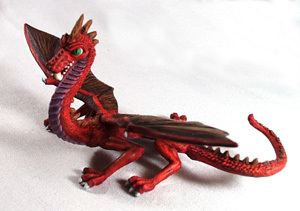 He is 70mm long with his tail curled and his neck upright. Some assembly is required. All images here feature Richard Kerr's painting work. 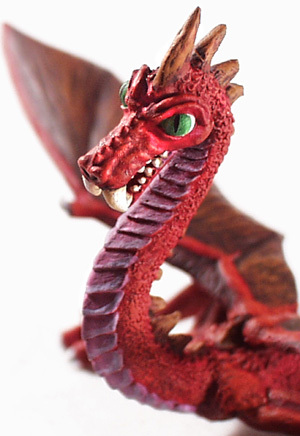 What can a dragon do in GURPS? Here are stats for a highly magical Valor, and a version created with the use of biotechnology. 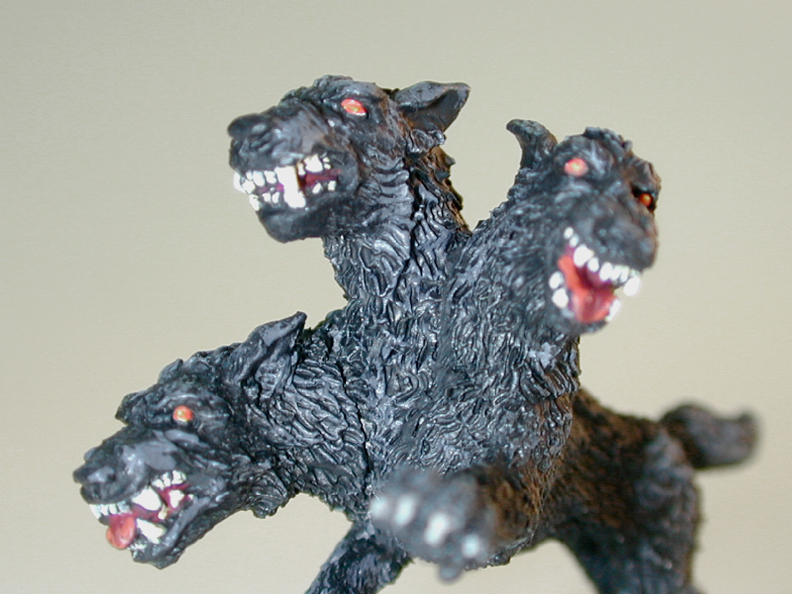 Cerberus was the mythological three-headed dog guarding the entrance to Hades. Cerberus stands 34mm tall in its leaping pose, and is 46mm long from outstretched paw to the tip of its tail. The heads, the widest part of its body, are 20mm from right cheek on the right head to left cheek of the left head. Some assembly is required. 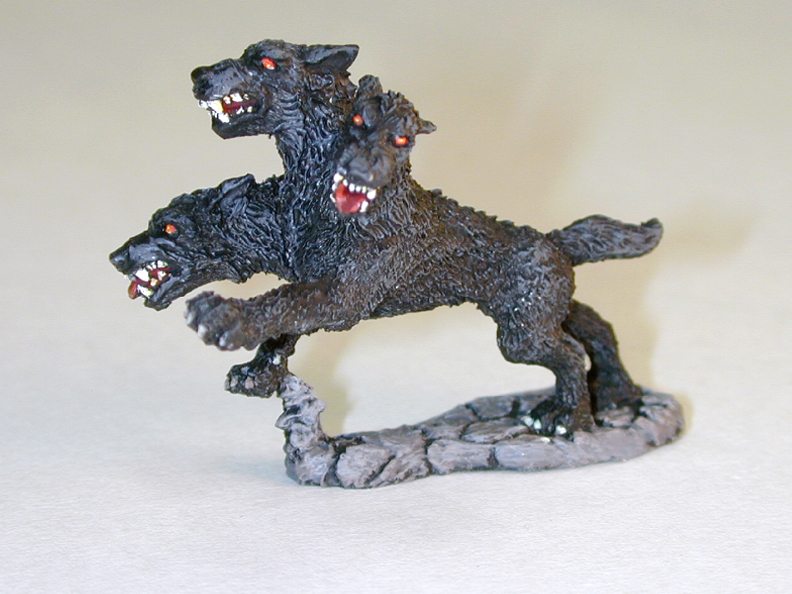 Richard Kerr sculpted the Cerberus, and painted the one pictured here. Looking for some numbers for this beastie? Here are three sets: a classical version, a super-powered version, and a genetically modified high-tech version. Scuttling faster than a man can run -- boiling up from below -- inhumanly hungering. Giant ants can spawn from radioactive waste, black magic, or good old fashioned Science Gone Bad! Each ant stands 21mm tall, and is 48mm long from antenna to tip of the abdomen. Their legs stretch 54mm side to side. Assembly is required. 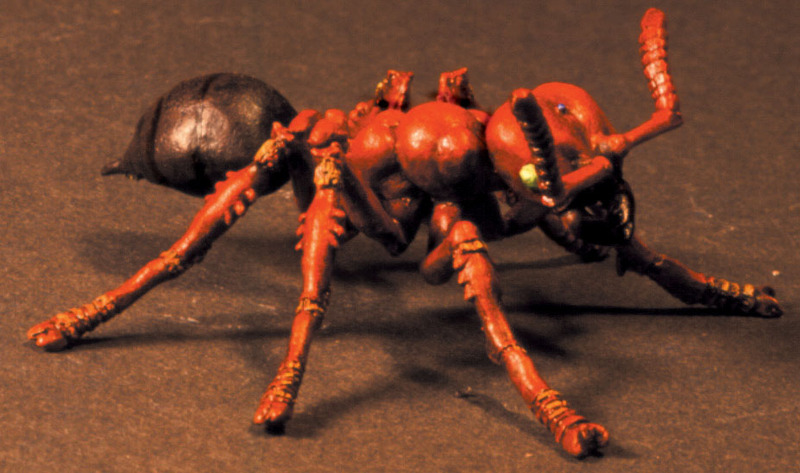 These giant ants were sculpted by Richard Kerr, and all images here feature his painting work as well. 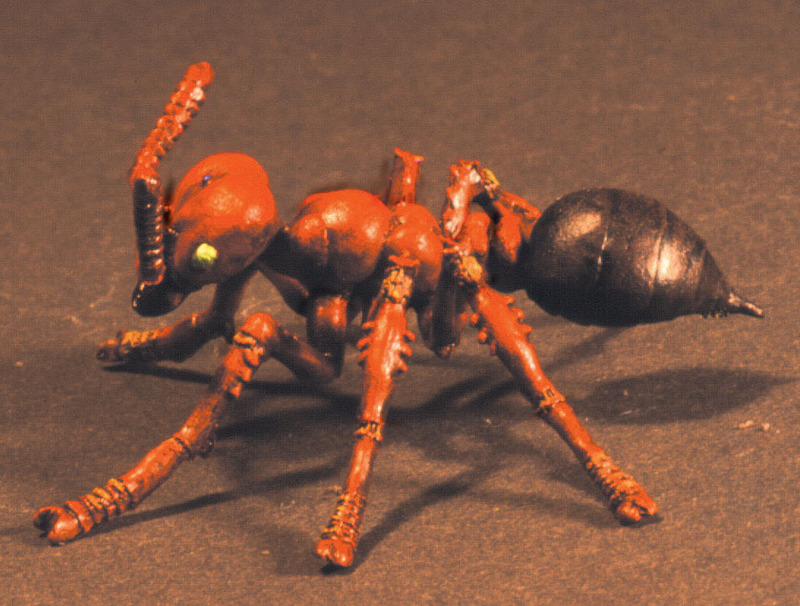 Giant Ants are available through Warehouse 23 in two forms: in a boxed set, with a mad scientist, his assistant, and six of the beasties; and individually. In Greek mythology, a harpy was a loathsome beast with the body of a bird, and a woman's face. 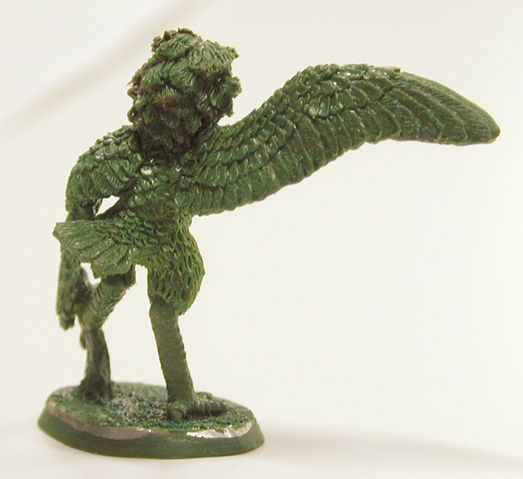 Richard Kerr has created this version, standing 32mm tall. 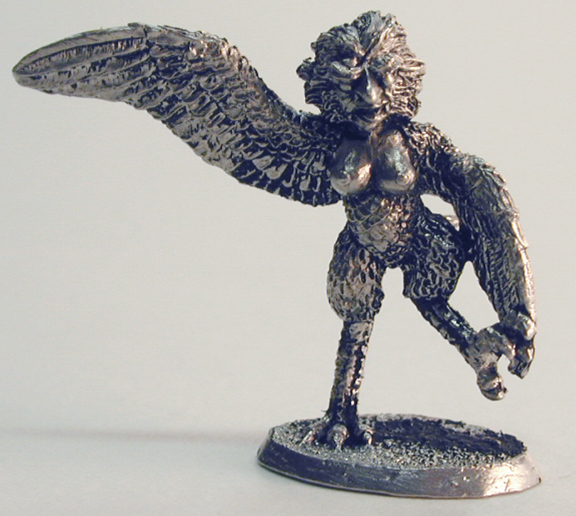 For a super-sized image of the harpy, click here. Be warned -- not only is she not pretty, she weighs in at almost 4 megs.